What does productive struggle look like? What does it sound like? I saw a glimpse of what productive struggle looks like yesterday. I get to share a room with a teacher (who happens to be a former student of mine), and so I listen with one ear when I’m in the room working at my desk during her Precalculus class. 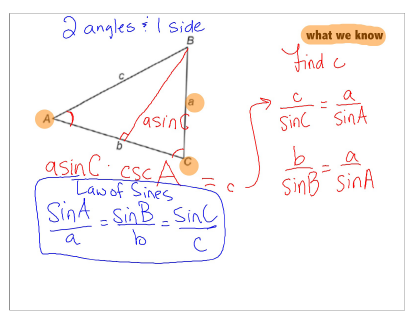 The lesson was on the Law of Sines, but Trisha didn’t tell the students from the beginning that was the learning goal. 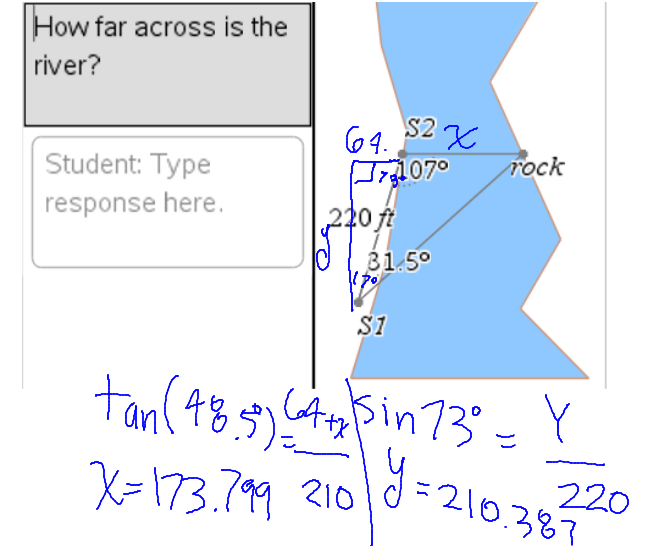 Instead, the students focused on the math practice make sense of problems and persevere in solving them. She presented a situation. And the students made assumptions and asked questions. Then she asked them to solve the problem. And so they did. These students didn’t balk at the task. They all worked. They didn’t even talk very much at first … you could hear them thinking in the silence that encompassed the room. That’s when I looked over and realized that I was seeing productive struggle in action. Productive struggle isn’t always quiet, but it definitely started that way for these students. 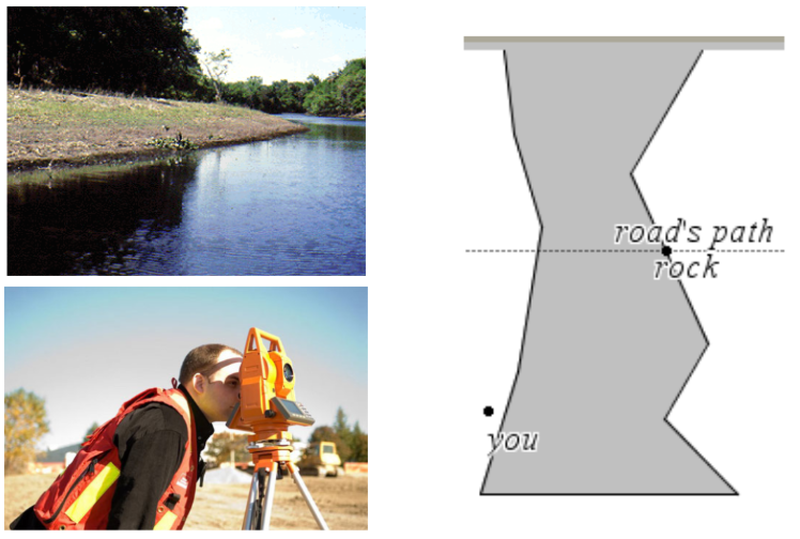 Eventually, students listened to Ain’t No (River Wide) Enough while they worked. 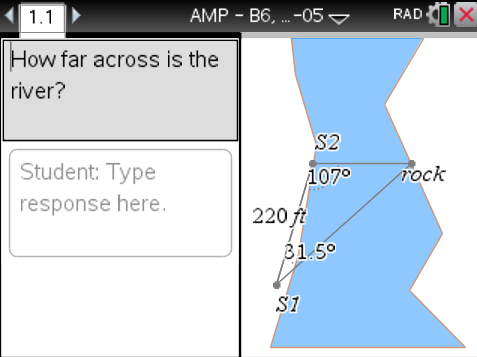 When solving the non-right triangle without knowing the Law of Sines, the students used another Math Practice – look for and make use of structure – to draw auxiliary lines. 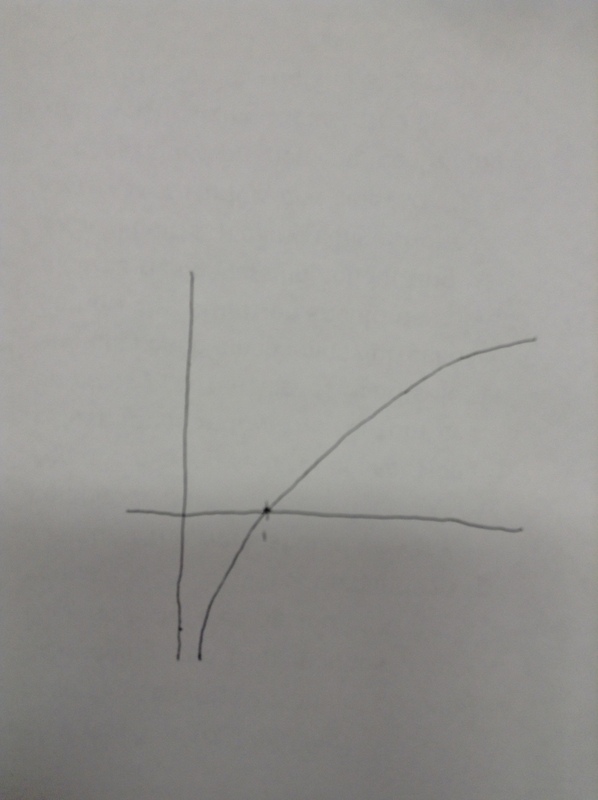 Some drew an altitude for the given triangle to decompose it into two right triangles. Some composed the given triangle into a right triangle. Trisha collected evidence of what students could do using a Quick Poll. So if we are given one side length and two angle measures of a triangle, is there a faster way to get to the other side? 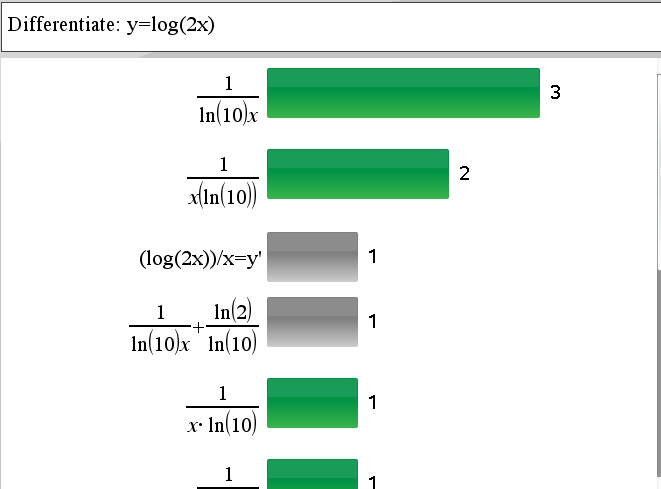 More productive struggle … the numbers are now gone, students are reasoning abstractly to make a generalization. 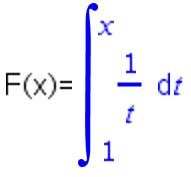 And they derived the Law of Sines in the meantime. How often do we give our students a chance to engage in productive struggle? In how many classrooms is the Law of Sines just given to students to use, devoid of giving students the opportunity to “grapple with mathematical ideas and relationships”? 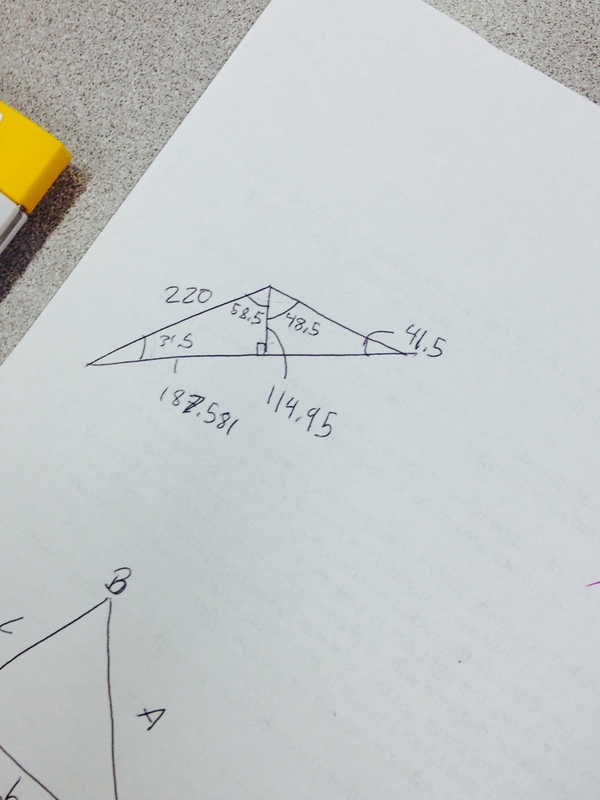 When I discussed what I saw with Trisha, she noted that last year, only a few of the students in her class successfully solved the triangle prior to learning about the Law of Sines. This year, all of them tried and most of them succeeded. These are the students with whom we started CCSS Geometry year before last. These are the students who have been learning high school math with a focus on the Math Practices. These are students who are becoming the mathematically proficient students that we want them to be. Because we are letting them. As the journey continues, we are learning to leave the front of the classroom behind so that we can support productive struggle in learning mathematics.